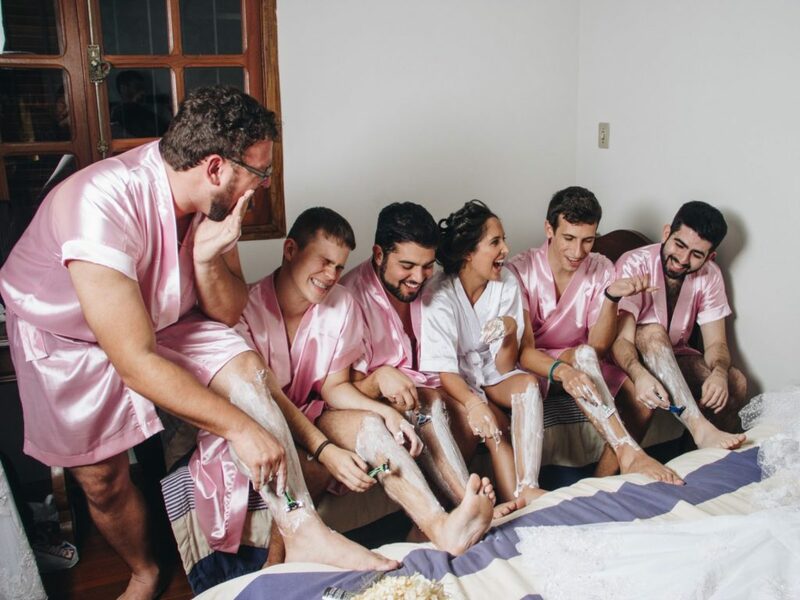 As part of #NationalBridesmaidsDay 2019 we’ve been looking into unusual Bridesmaids and we came across this…Bride stages bridesmaid photo shoot with her best male friends. National Bridesmaid’s Day was founded by Butlers in the Buff and Hen Heaven in 2015. Each year it falls on 25th March and was created to celebrate the women who are there to support the bride on her special day. It celebrates those among us who have had the honour to be part of their friend’s special day. Rebeca Brantes, a computer engineering student in Brazil, was eager to hit all the traditional wedding touchstones leading up to her big day, including having a bridesmaid photo shoot with all her best friends. There was one hitch, however: she didn’t have any female friends on hand. And since Brantes is one of only four women in a computer engineering program that includes 56 men, it’s no surprise that her college besties turned out to be a bunch of guys. 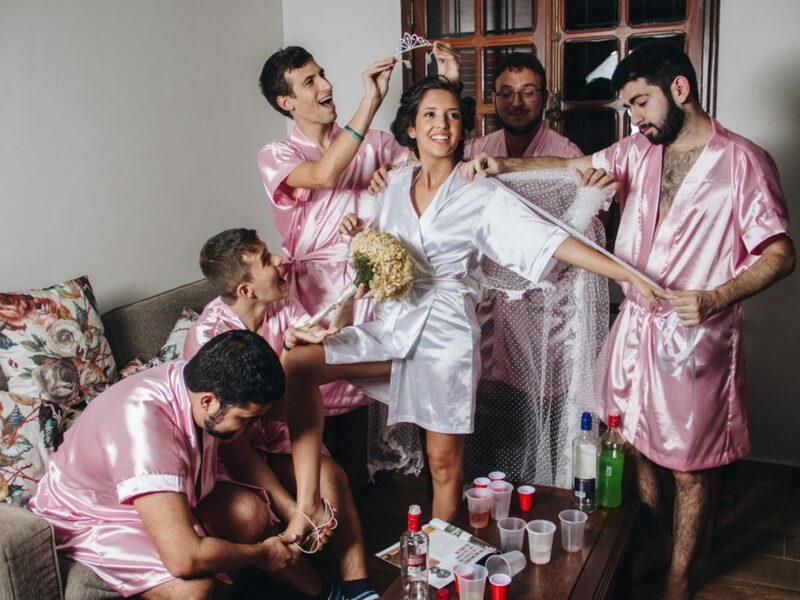 The resulting images show Brantes dressed in a white satin dressing gown surrounded by five of her male friends in matching pink robes. They’re pictured engaging in typical pre-wedding preparations like shaving their legs, cooing over the wedding dress and relaxing with cucumber slices on their eyes. From the looks of it, Brantes and her pals felt totally at ease with this modern spin on an otherwise conventional wedding tradition. Duque says the response the photos have garnered is a pleasant surprise. While this photo shoot was born out of necessity, experts say that many weddings today feature unconventional twists. Carmen Luk, principal wedding planner at Devoted To You Inc., says the after-party food offerings are often where couples will let their personal interests shine. Ceremonies are also bucking convention by swapping out traditional best men and maids of honour. In some cases, Luk says, the tradition-busting starts early — like when couples start to plan the wedding before it’s even official.